1st Class Auto Electrics is a mobile auto electrical service in Mebourne’s south eastern region. Our honesty. Reliability and a 1st Class service has forged us a solid reputation over the last 20 years. Perfect for those who only trust 1st Class Auto Electrics and Air Conditioning technicians to work on their cars in order to avoid more costly complications further down the track! Whatever your car electrical gremlins might be, our efficient and accurate diagnosis of car problems eliminates any unnecessary replacement of parts by trial and error therefore saving you, time and money. Our mobile, service vehicles are equipped with all the necessary equipment including the latest scan tool (to retrieve all onboard computer information e.g. vehicle faults). We carry the most common replacements parts with us in order to be able to perform your entire auto electrical and air-conditioning services. Feel at ease knowing, that 1st Class Auto Electrics will provide an inspection and diagnosis of the area of concern. We will then recommend what is required and ONLY when the customer agrees, will repairs be provided. We will NOT replace parts unnecessarily. Owner Peter Skarlatis, is a qualified professional auto electrician. Peter will assure your peace of mind through his honesty, reliability, his efforts to save you money and most of all his friendly and patient manner when assisting ALL of his customers. Peter has been in the auto industry for over 20 years. Bringing to his customers an assurance of experience and knowledge of auto electrics that is second to none. Peter’s polite and friendly nature and readiness to assist his customers has been the corner stone of his business - 1st Class Auto Electrics. So you can be reassured that Peter will take care of all of your motoring needs. 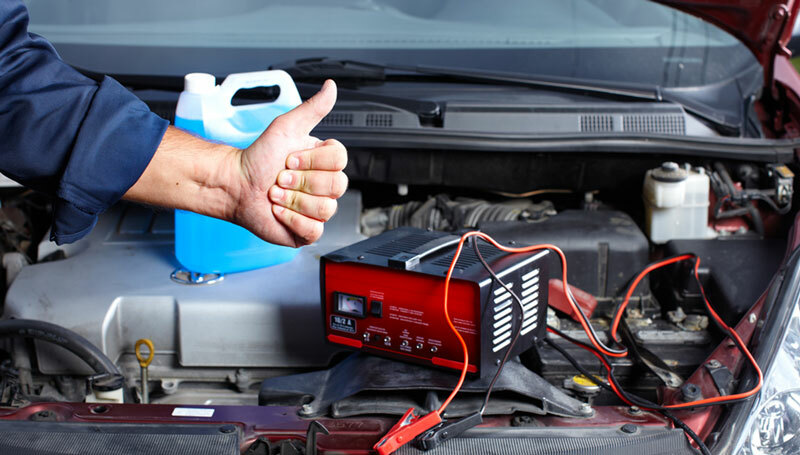 1st Class Auto Electrics uses the latest technology to diagnose and fix problems. The fuel injection, ignition system and automatic transmission on most modern fuel-injected cars and trucks are run by one or more computers. There are dozens of sensors throughout the vehicle that are measuring and obtaining data from such things as throttle opening, engine rpm, air and coolant temperature, crankshaft and camshaft position, road speed, injectors and ignition timing. Our technology allows for a shorter time diagnosing any vehicle faults on most of these vehicles when possible. Did you know, that the majority of break downs (Vehicle problems, stops running, wont start) are generally ELECTRICAL. Our mobile vans are available to fix emergency repairs. We carry a wide range of stock in our vans to make repairs to your vehicle. Our mobile vans are available to fix emergency repairs. We carry a wide range of stock in our vans to make repairs to your vehicle.